Since the game’s release date confirmation, members of the Mass Effect Andromeda team have been talking more about the game on Twitter, sharing new details on characters, gameplay mechanics and more. Recently, Lead Designer Ian S. Frazier revealed some interesting tidbits regarding one of the companions, the dialogue options and more. Speaking about the companion Peebee, Ian S. Frazier confirmed that Peebee possesses biotic powers. He also confirmed that a Biotic Blast won’t be included in the game. Not a thing. Although Peebee does have biotic powers. 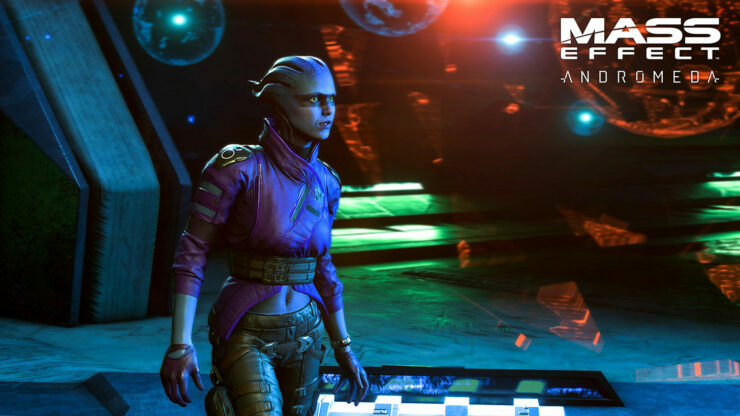 The Mass Effect Andromeda dialogue wheel has yet to be detailed in full, but it’s been recently confirmed that there will be multiple tone options, like the ability to both Flirt and Investigate and much more, giving players much more freedom than before. Additionally, a new Mass Effect Andromeda trailer has been released today. This new pre-order trailer is rather short, but it shows some short multiplayer sequences. Pre-Order Mass Effect: Andromeda today and receive an exclusive set of Deep Space Explorer Armor, a Unique Nomad skin, and a Multiplayer Booster Pack to give you the edge on the battlefield. Unravel the secrets of a vast galaxy, battle hostile alien threats, and find humanity a new home in Mass Effect: Andromeda. Mass Effect Andromeda launches next month in all regions on PC, PlayStation 4 and Xbox One. We will keep you updated on the game as soon as more comes in on it, so stay tuned for all the latest news on BioWare’s next big RPG.